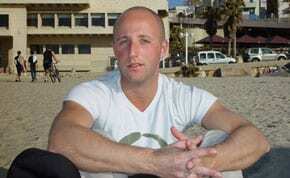 The Israeli Government will pay four million shekels to the family of Melbourne-born Mossad agent Ben Zygier who hanged himself in a high security prison cell. According to “The Australian” the Israeli Ministry of Justice announced the payout following claims that the Zygier case had been mishandled. The report, on Israel radio, said that whereas the ministry did not admit liability, it wanted to avoid court proceedings in which details affecting national security might have been divulged. Ben Zygier, known as Prisoner X, hanged himself at a time it was understood he under 24 hour surveillance. In spite of reports from ABC-TV and the German magazine Der Spiegel, the details of what lead to the Melbourne man’s imprisonment remain a State secret although reports say he was demoted after he allegedly named two of the Mossad operatives in Lebanon. The money will go to Zygier’s family in Israel. The 34-hr-old was married with two children.